Home / Art / Caroline Nuttall-Smith. Latest work. 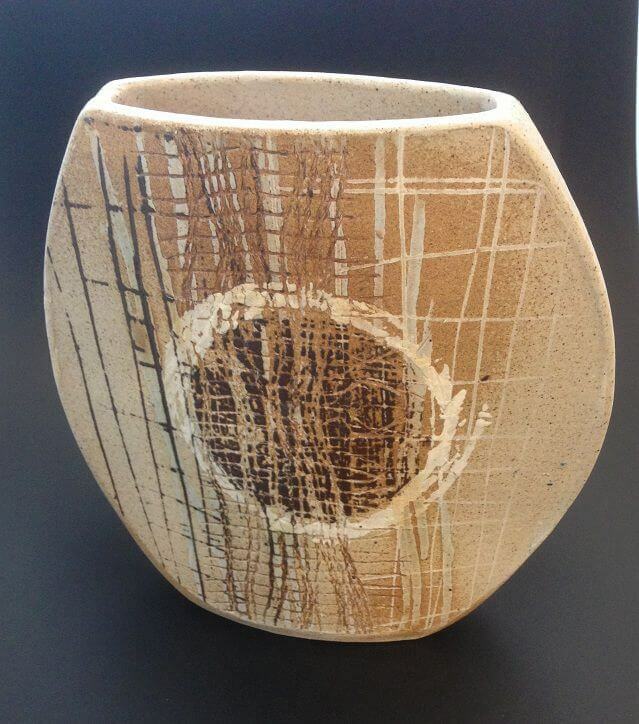 On latest window display features ceramics and linocuts by Caroline Nuttall-Smith. 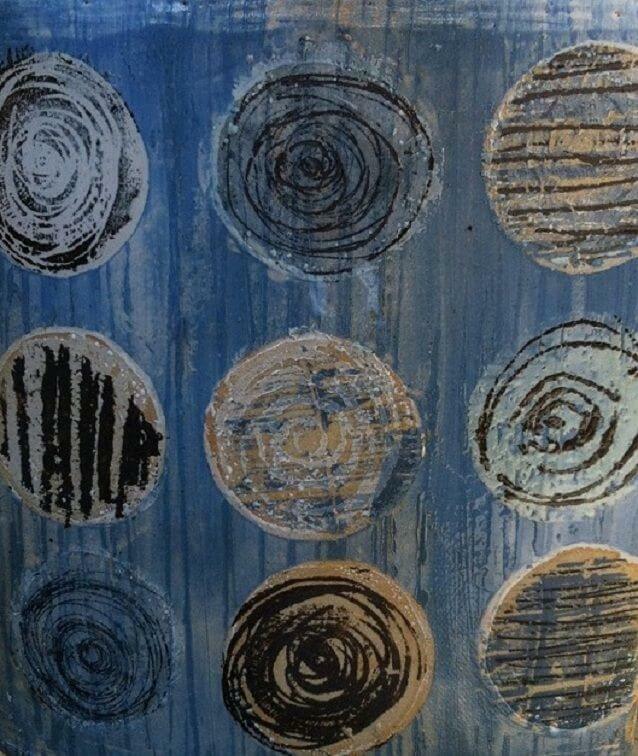 Caroline has a background in in textile design and during her time as a designer developed many techniques of textures, marks, layering and drawing in different media. 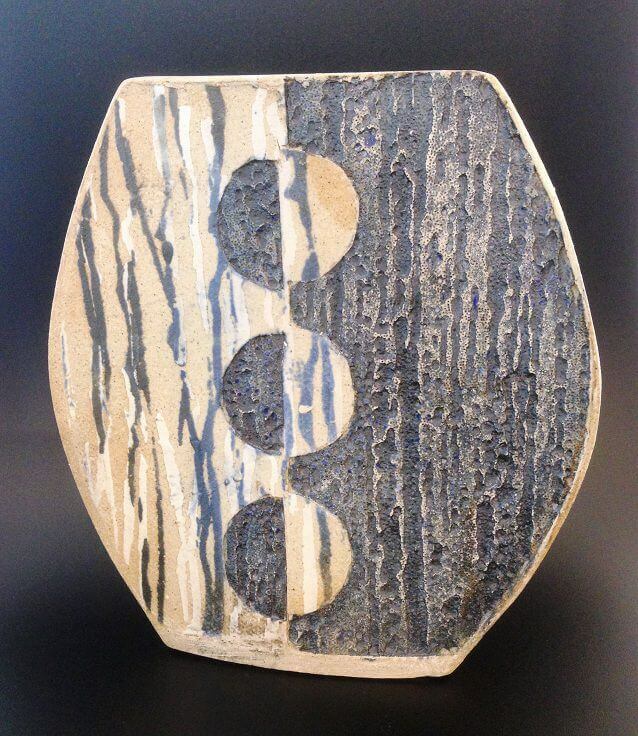 About eight years ago, after working in print and textiles, Caroline started to produce ceramics as well and the influence of her training in textile design can be seen in her ceramic work in which she explores abstract mark making, textures & mono printing onto clay using clay slip & oxides. Caroline’s love of post war British textile designers has also influenced her work, in particular she admires the freedom of their mark marking, abstract pattern and the influence of them on modern painting. When working on her ceramics, Caroline completes the textile design and then she hand builds the vessels making bottles, dishes & vases. The pieces are finished with wax resists and various shiny and matt glazes are used to achieve different surface effects. 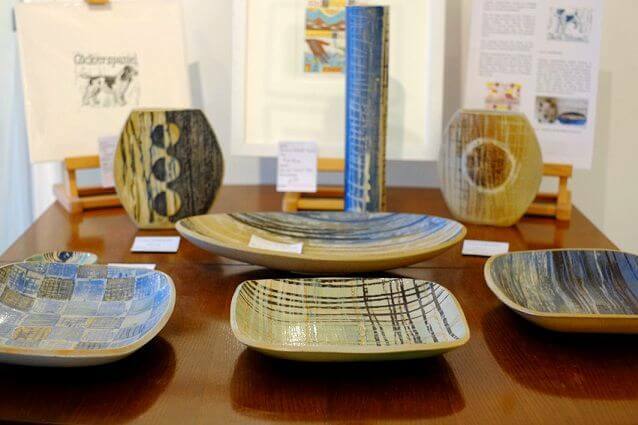 We have a range of Caroline’s ceramics in the gallery at different pricing points and we think they would make the perfect Christmas gift for an art lover. 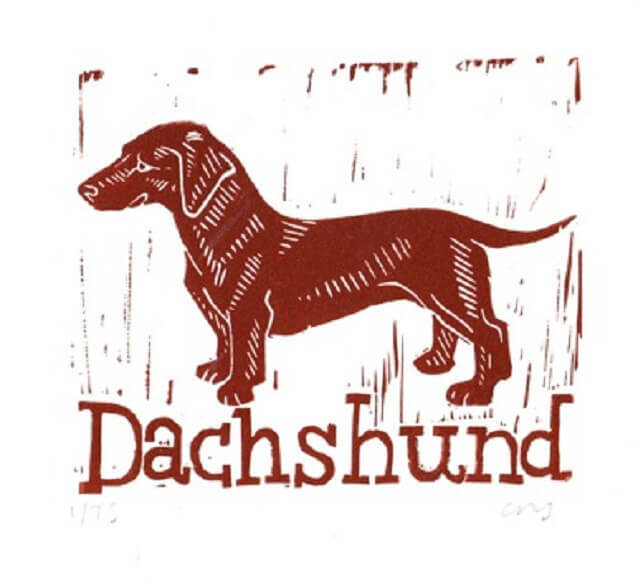 In addition to her ceramic work Caroline also produces editions of linocut prints and has recently been working on a series of linocuts of different dog breeds which has resulted in commissions to produce prints of individual client’s dogs. We’re delighted to be also including her linocuts at the gallery.